In this new year, I'm working with Mike Bellafiore and a group of newer traders to hasten their learning curves. An important part of that process is the keeping of monthly statistics on trading results. These stats, compiled in TraderVue, allow a trader to break down performance into many categories. For example, a trader can view profitability as a function of the setups/strategies traded; as a function of time of day; as a function of position sizing; etc. At a single glance, mentors can see if a trader has improved their win percentage on trades; if risk management has been sound; and much more. That creates a very high level of visibility and accountability. It also provides a rational basis for setting goals and plans from month to month. Perhaps the most eye-opening result from the ongoing score-keeping is that it highlights strengths and problems in trading that both trader and mentor may not have been aware of in real time. For example, one trader showed a pattern of losing money following early morning losses, with the frequency of trading increasing as the losing day progressed. This did not occur every day, but it happened sufficiently often as to hurt monthly profitability. Seeing this pattern clearly in real time allows mentors, coaches, and traders to create a plan to take breaks following opening losses and readjust, both psychologically and in trading. I recently began work with a Fitbit, which spits out real time information on everything from heart rate and number of steps taken to quantity and quality of sleep. The app allows for easy goal setting, so that the wearer always has targets to hit to improve wellness. As with the trading stats, some of the results took me entirely by surprise. For instance, there was much more variability in my active exercise from day to day than I expected. By adding just one component to my daily workouts, I have been able to derive significantly greater aerobic benefit. The most subtle benefit of the relentless score keeping, however, is that the stats themselves have a psychological impact that is carried over from one period to another. Seeing improvement in the numbers builds confidence and a sense of control. Achieving poor numbers can arouse the competitive instinct to make improvements, focusing on doing things the right way. If a sports team proclaimed their desire for a championship but never reviewed game film and performance and coaches never looked at where the team was most and least successful, we would question the true commitment of the team--and we would question their odds of achieving a championship. Similarly, when traders pronounce their passion for trading but never bother to systematically keep score on what they are doing right and wrong, can we truly say that we would invest *our* money with those traders? 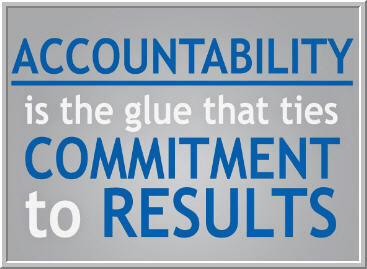 It is when we make ourselves fully accountable that we become our fullest successes.